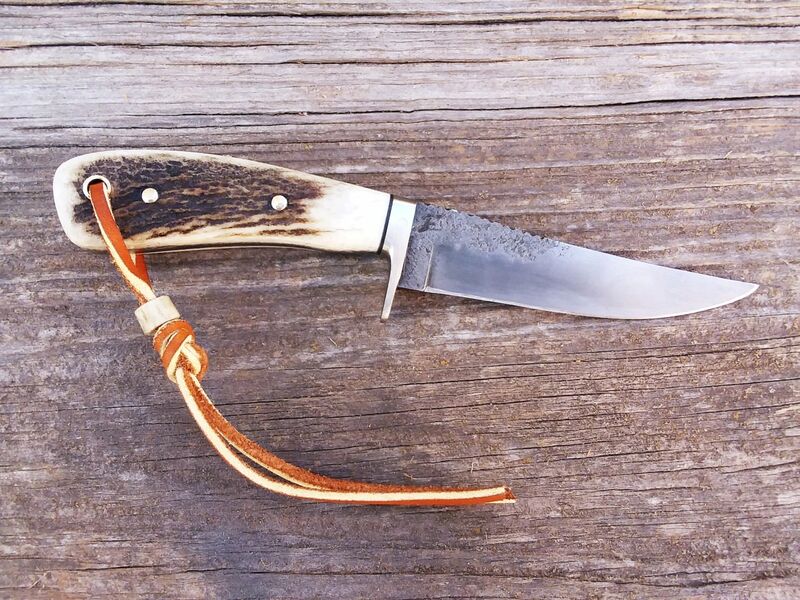 Here are a couple elk antler knives I've finished up recently. The first one is a skinner. It's around 8" long, 1095 steel with a stainless guard. 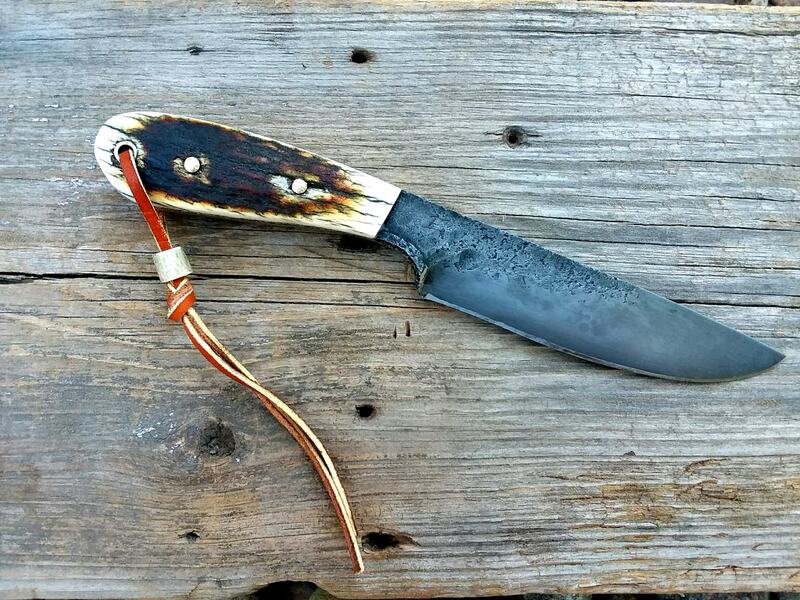 Here is a brute, 1084 steel and the knife is around 8.5" long. These scales were from an old bleached out elk antler that I scorched and added a bit of briwax too. Looks good! 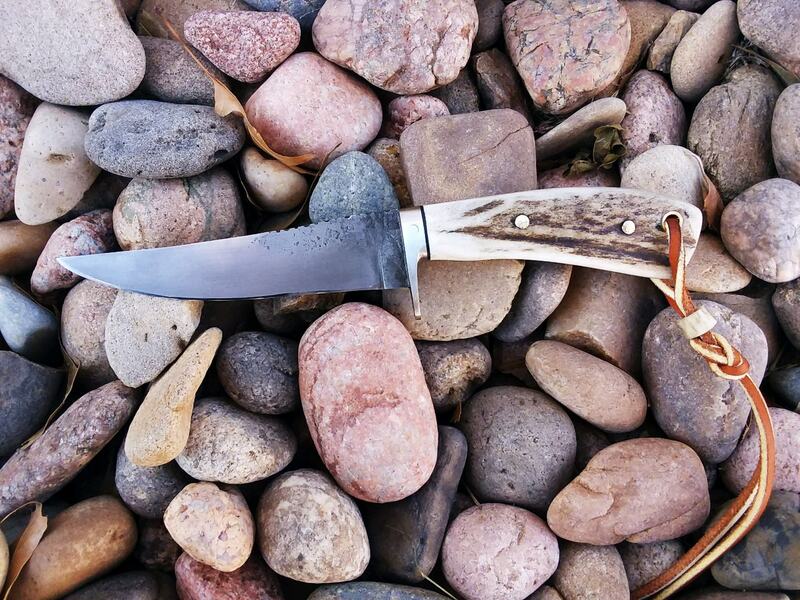 Do you stabilize the antler scales? I do not stabilize the antler scales. I dry all my antler scales out in my basement several months before i use them. That has worked well and I get little to no shrinkage or movement on them. Nice looking knives as always Caley.